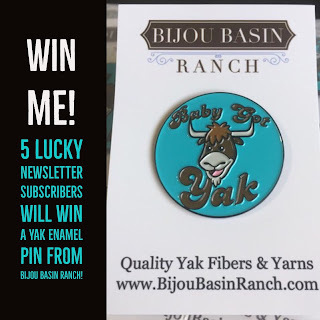 Bijou Basin Ranch: Win a new Baby Got Yak pin! If you like yak yarn and you cannot lie, our newest enamel pin is just for you! 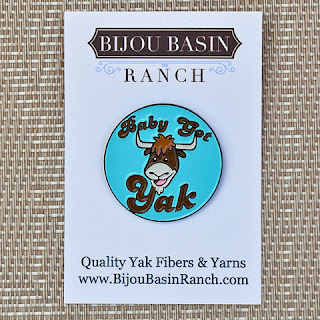 Baby Got Yak is the second pin in our ongoing series of custom-made, exclusive pins. Pin it to your lapel, backpack or project bag to declare your love for all things yak to the world! Click here to enter our Baby Got Yak pin giveaway. We will randomly select our winners to announce in our newsletter and social media channels on Monday, July 31. Good luck! 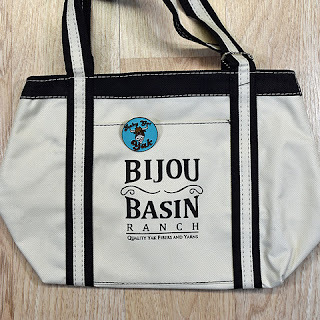 Be sure to share photos of your BBR Baby Got Yak pin with us on social media using the #BijouBasinRanch hashtag in your post! Oh so cute! and I do love these gorgeous Yakky yarns! soft and cuddly - wish I could visit your ranch and really see your "Yaks" in full display! thanks for the fun entry!